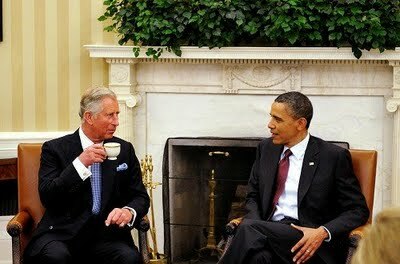 His Royal Highness, Prince Charles, the Prince of Wales invited Vernon Corea to Buckingham Palace in London in the United Kingdom. Vernon Corea at the time was the BBC’s first ever Ethnic Minorities Adviser and presenter of the popular ‘London Sounds Eastern’ radio programme on BBC Radio London. 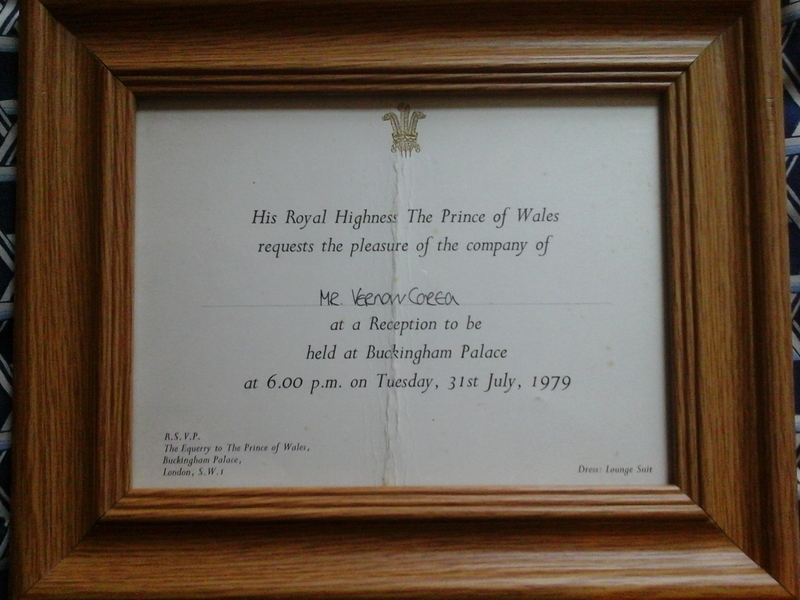 The invitation to Vernon Corea of the BBC extended by HRH Prince Charles, the Prince of Wales. This was Vernon’s first visit to Buckingham Palace. Prince Charles, the Prince of Wales met Vernon Corea when he was the BBC’s Ethnic Minorities Advisor in 1979. The Prince of Wales spoke to Vernon about his work at the BBC. 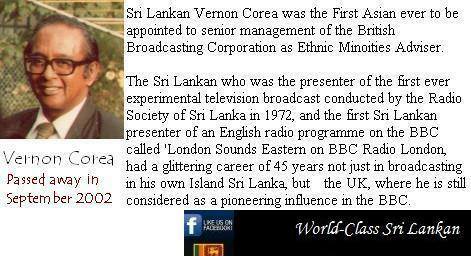 Radio Ceylon/SLBC/BBC Broadcaster Vernon Corea is on the World Class Sri Lankans Page on Facebook. There is a revised entry for the legendary Sri Lankan broadcaster on the 200 World Class Sri Lankans on Facebook. Over 61,000 views to the site to the legendary Radio Ceylon/SLBC/BBC broadcaster Vernon Corea. Thank you. The Sunday Island Newspaper in Colombo, Sri Lanka published a feature marking the 2013 birth and death anniversaries of Vernon Corea. The death anniversary of the legendary Radio Ceylon/SLBC broadcaster Vernon Corea falls on the 23rd of September 2013. Vernon Corea’s 86th birth anniversary falls on the 11th of September this year. He was born in 1927 and died in 2002. 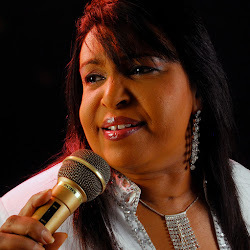 People still remember the lovable radio personality who was one of the most popular English announcers of the Commercial Service of the Sri Lanka Broadcasting Corporation from the 1950s to the 1970s. Vernon Corea joined Radio Ceylon in 1956 and left the radio station as Director News of the SLBC in 1975. He has made a huge impact in the field of broadcasting in Sri Lanka. We have reached a milestone – 50,000 views on Vernon Corea’s Tribute site. Thank you. British High Commissioner John Rankin and staff at the British High Commission are preparing to celebrate the 65th Birthday of His Royal Highness, Prince Charles, the Prince of Wales when he flies in to Colombo to open the Commonwealth Heads of Government Meeting – CHOGM 2013 in Sri Lanka. 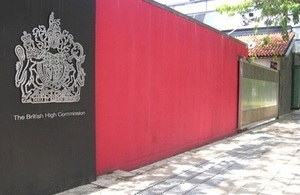 The celebrations will be held at the British High Commission in Colombo. 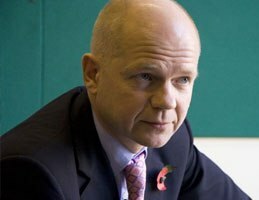 Britain’s Prime Minister David Cameron, Foreign Secretary William Hague, Commonwealth Secretary-General Kamalesh Sharma are all scheduled to be there. 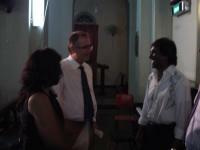 High Commissioner John Rankin attended the Service of Thanksgiving for the life of Radio Ceylon/SLBC and BBC Broadcaster Vernon Corea in 2012 at St. Paul’s Church Milagiriya in Colombo. The British High Commissioner told the Corea Family that he was there to honour the service to the UK by Vernon Corea who was the BBC’s Ethnic Minorities Adviser and presenter of the hugely popular ‘London Sounds Eastern’ on BBC Radio London 206. Vernon Corea had a distinguished broadcasting career spanning 45 years in Sri Lanka and in the UK. He would not have had this broadcasting career if not for the work of Edward Harper. People are calling on Prince Charles, the Prince of Wales and British Prime Minister David Cameron to publicly acknowledge the amazing service to world broadcasting by a GREAT BRITON, Edward Harper, Chief Engineer of the Ceylon Telegraph Office from 1921-1931 who made the first broadcasting experiments in South Asia and brought broadcasting to Sri Lanka only 3 years after broadcasting services in Europe. 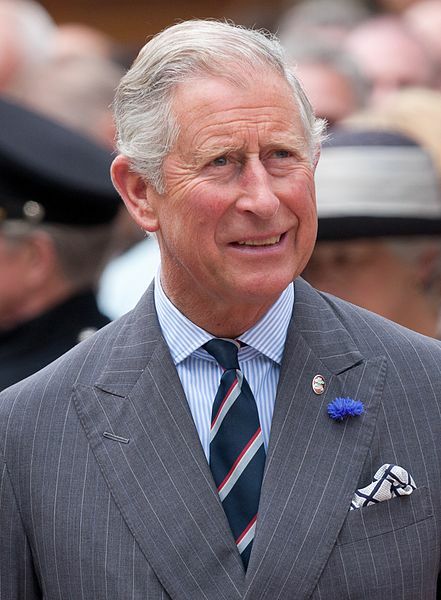 HRH Prince Charles, the Prince of Wales will celebrate his 65th Birthday in Sri Lanka when he flies to the island to attend CHOGM 2013 with Commonwealth Leaders. Photo courtesy of Dan Marsh and Wikipedia. 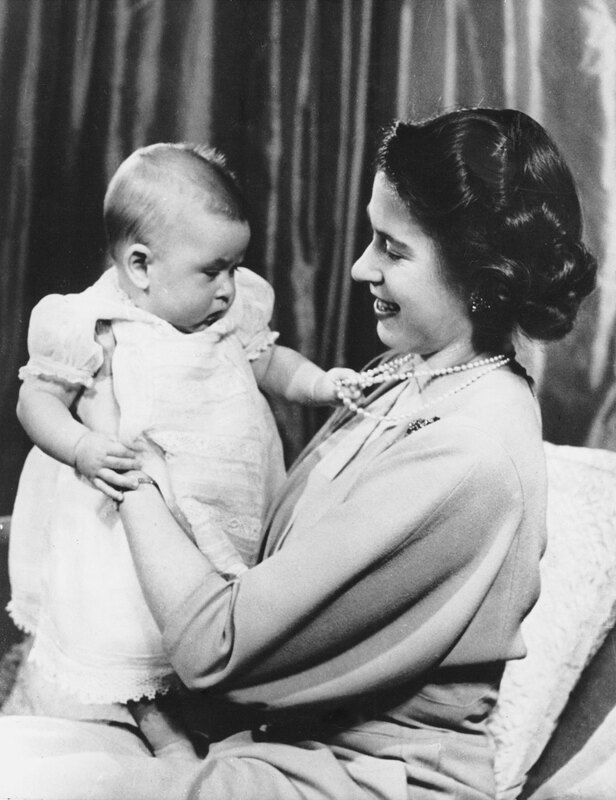 HRH Queen Elizabeth II with her eldest son Prince Charles the Prince of Wales in 1949. 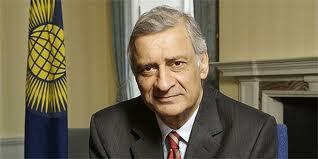 The Prince will celebrate his birthday at CHOGM 2013 in Colombo. 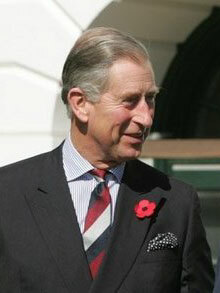 His Royal Highness Prince Charles, the Prince of Wales will be celebrating his 65th Birthday in Sri Lanka, when he arrives in Colombo for CHOGM 2013. 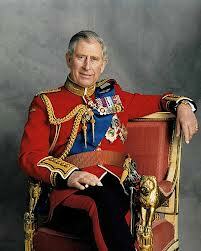 Prince Charles was born on 14th November 1948. 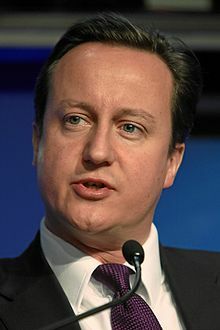 He is representing Her Majesty the Queen at CHOGM 2013 and will open the Commonwealth Heads of Government Meeting 2013 in Sri Lanka. People are asking the Prince of Wales to publicly acknowledge the enormous contribution to world broadcasting by Edward Harper, Chief Engineer of the Ceylon Telegraph Office from 1921 – 1931. Harper is widely known as the ‘Father of Broadcasting in Sri Lanka.’ It was Harper who brought broadcasting to South Asia through his wireless experiments in 1921 – he also founded the Ceylon Wireless Club with Ceylonese radio enthusiasts. No one has ever acknowledged the amazing contribution to broadcasting by this GREAT BRITON. 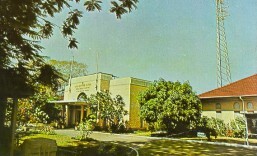 It was as a result of Harper’s efforts that South Asia’s oldest and finest radio station came into being – Radio Ceylon now known as the Sri Lanka Broadcasting Corporation. 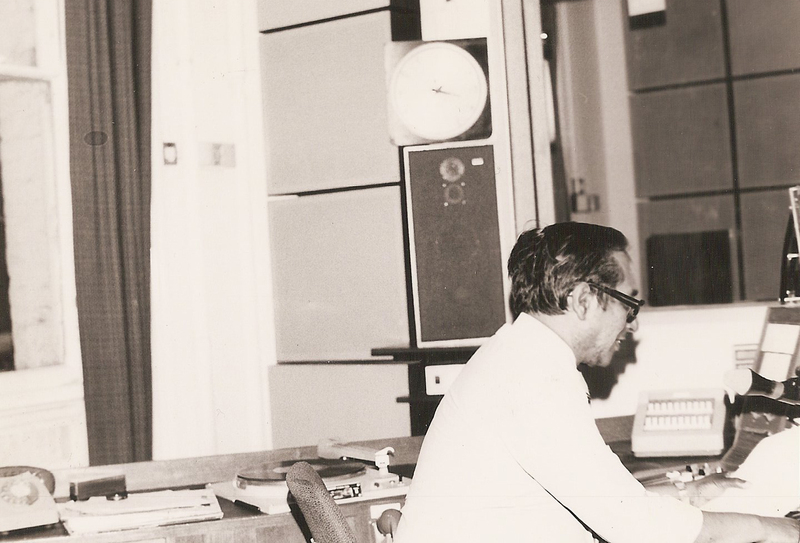 Radio Ceylon was ‘King of the Airwaves’ in South Asia from the 1950s – 1970s. Every one in the Indian sub-continent tuned into Radio Ceylon. His Royal Highness Prince Charles, the Prince of Wales has met Radio Ceylon/SLBC and BBC Broadcaster Vernon Corea and his two sons – Ivan Corea and Vernon Corea Jr, in their individual professional capacities in London. Vernon Corea was the BBC’s Ethnic Minorities Adviser and was in charge of training broadcasters from minority ethnic communities in the UK for 22 BBC Local Radio stations. Prince Charles met Radio Ceylon/SLBC broadcaster Vernon Corea in the 1980s when Vernon was working for the BBC and was appointed the BBC’s Ethnic Minorities Adviser – at the time Vernon was in the forefront of training broadcasters from Britain’s minority ethnic communities for 22 local radio stations. Vernon Corea was a pioneering Broadcaster in Sri Lanka and in the United Kingdom. The Prince of Wales has also met Vernon’s two sons, Ivan Corea when he was a Fellow at the King’s Fund and Vernon Corea Jr who worked in Housing in Tower Hamlets. The Prince of Wales flies into Colombo with HRH Camilla, the Duchess of Cornwall. British High Commissioner John Rankin is organising the 65th Birthday celebrations of Prince Charles at the British High Commission in Colombo. Commonwealth Leaders are expected to join the Prince of Wales on the 14th of November 2013 as he celebrates this landmark.